India's real test in the Test series will be how their batsman cope with the extra pace and bounce anticipated at Sabina Park, says former West Indies bowling ace Ian Bishop. By arrangement with Quba Media Works. This much-anticipated series for the West Indies, their fans and supporters has been dampened somewhat by the absence of a number of India's more celebrated players. The non-appearance, for various reasons, of players of the calibre of Virender Sehwag, Gautam Gambir, Zaheer Khan, Yuvraj Singh and, not least, Sachin Tendulkar would have been a huge disappointment, even for the more ardent West Indian supporter. 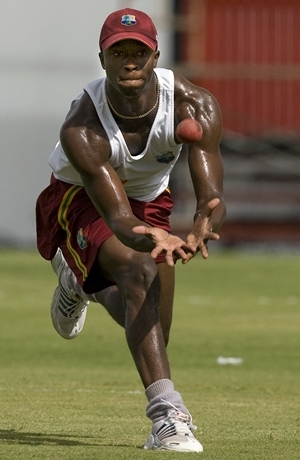 It is still going to be the litmus test of the proposed "new direction" of West Indies cricket. 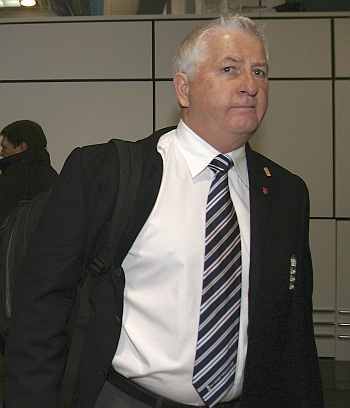 It should also be a stern examination for India in their first Test series under new coach Duncan Fletcher and combined absence of the above-mentioned players. Dravid, Laxman and Dhoni have arrived, and they will add some much-needed class and backbone to India's batting line, in addition to Dhoni's calm leadership. India did well to win the T20 and ODI series. Such an inexperienced team under a new coach and young captain was always going to be a challenge in so-called 'foreign conditions' based on how quickly players accepted their roles and gelled together. They rose to the challenge and must be congratulated. India's ODI unit flourished while the series was alive on pitches conducive to their way of operating. But some of their players struggled, noticeably, when the series was already won; senior players in Harbajan Singh and Munaf Patel rested, and, particularly when there was a touch more bounce in Antigua for the second game there, and at Sabina Park, Subramaniam Badrinath looked at sea against the bouncing ball and Shikhar Darwan lacked the class of an international opening batsman. Yusuf Pathan did not set the Caribbean alight and neither did Manoj Tiwary. The location of this first and second Test could be of huge significance to the outcome of this series. 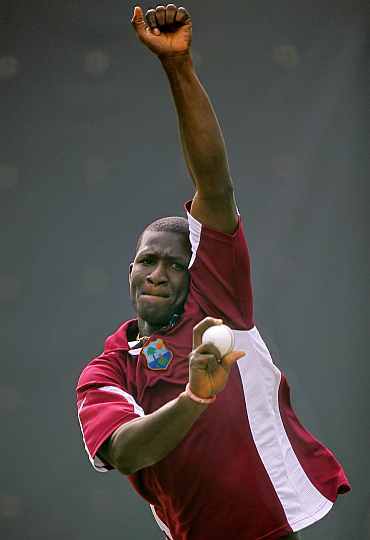 The West Indies coach, Otis Gibson, and captain Darren Sammy were openly critical of most of the pitches used in the previous series against Pakistan and the first three ODIs against India. Their battle cry has gone out to curators at the remaining venues to prepare surfaces which will aid the West Indies fast men, and, at the same time, nullify India's spinners. They are more likely to get an ideal response to their request in Barbados and, fingers crossed, in Jamaica. When India toured the Caribbean in 2006, Sabina Park was the decisive Test, with the pitch an awkward surface to bat on, as it assisted the pacers, but, more so, the Indian spinners, Anil Kumble and Harbajan Singh who shared 11 wickets between them in that match. The surface is unlikely to be as accommodating to the slow men this time around. It is difficult to predict with any certainty which team will prevail, simply because there are so many intangibles. 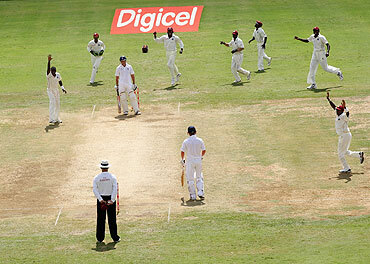 West Indies are still a talented but unpredictable team. Their fast men in Roach and Rampaul should relish these conditions. There is an option of going in with a third fast bowler in Edwards and leaving out the spinner, Devendra Bishoo; but that may be to bold a move given there is no other reasonable, even part time spinner in the squad to lend balance with Chris Gayle out of favour. (Brendan Nash's part-time spin not withstanding). If only Andre Russel was in the squad, they could have thought about his inclusion given his batting ability at the expense of a batsman. To far a bridge I suppose. For India the real test will be how their batsman cope with the extra pace and bounce anticipated at Sabina Park, but, more so, how quickly the big three of Dravid, Dhoni and Laxman adapt to life in the competitive fast lane given that there have been no warm-up games for them to acclimatize, such is the nature of modern touring. The replacement openers for India will have a big job in their first innings to try and ensure that there is a foundation for the excellent middle order, but who are is short of match fitness. The other issue for India is the lack of pace. With doubts over Munaf Patel and already no Zaheer Khan or Sreesanth, this area could be significant. Finally, India could have drained the West Indies' confidence by avoiding some of the careless cricket they played in the last two ODI's, but they didn't, and in five days we will see whether the West Indies will take that as a significant boost. Weather permitting there should be a result as it has been 11 Test matches since the last draw at this ground and that stretches back some 12 years.